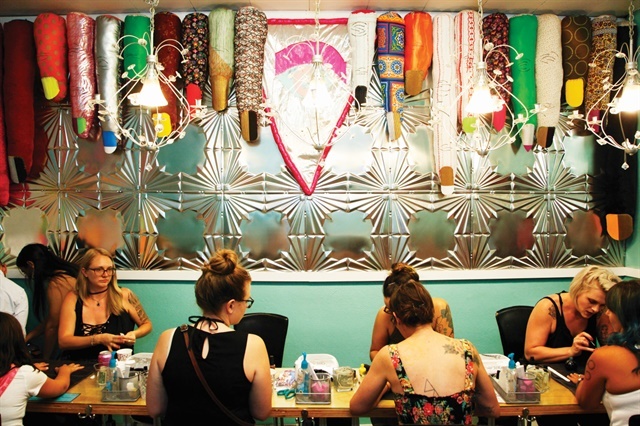 Located in Denver’s Tennyson Street Cultural District, Tootsies the Nail Shoppe is at the heart of a vibrant, cosmopolitan arts scene — the perfect place to participate in the city’s First Fridays. The monthly events feature galleries, studios, and cultural attractions that stay open late for art, food, drink, and fun. 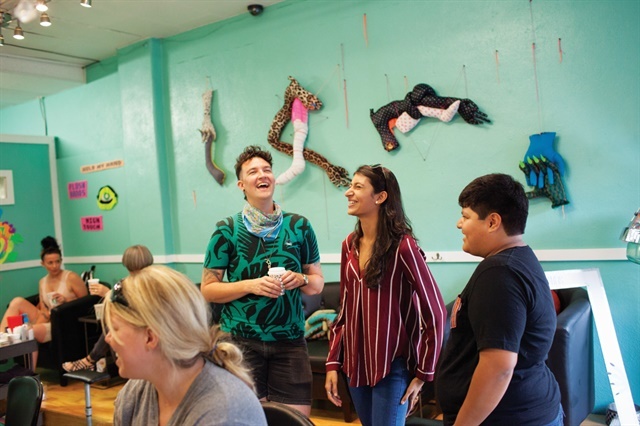 When salon owner Castle Searcy met artist Frankie Toan during his artist-in-residence stint at Redline Contemporary Art Center in Denver, she saw a perfect opportunity for a First Friday artistic event that brought hands and art together in more ways than one.